According to Broadbandbreakfast.com, Senator Feinstein nailed it! Feinstein discussed the importance of the first-to-invent standard in the United States at length, as well as the importance of the associated “grace period” to independent inventors. She said that the changes sought in the current legislation would make it much harder for inventors to prove that they were the first to come up with an idea. “Another problem with the bill’s first to file system is the difficulty of proving that someone copied your invention,” she said. “Currently, you as a first inventor can prove that you were first by presenting evidence that is in your control–your own records contemporaneously documenting the development of your invention,” she continued. “But to prove that somebody else’s patent application came from you under the bill, was “derived” from you, you would have to submit documents showing this copying. Only if there was a direct relationship between the two parties will the first inventor have such documents. Feinstein also dismissed the arguments for a change in the system, noting that there are only 50 proceedings a year at the United States Patent and Trademark Office that dispute who created a new invention first. 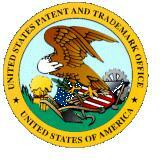 That is a minuscule number considering that there are about 480,000 patent applications a year.